David Rathman is known for his sensitively rendered paintings of stereotypically male motifs from American history and contemporary culture. 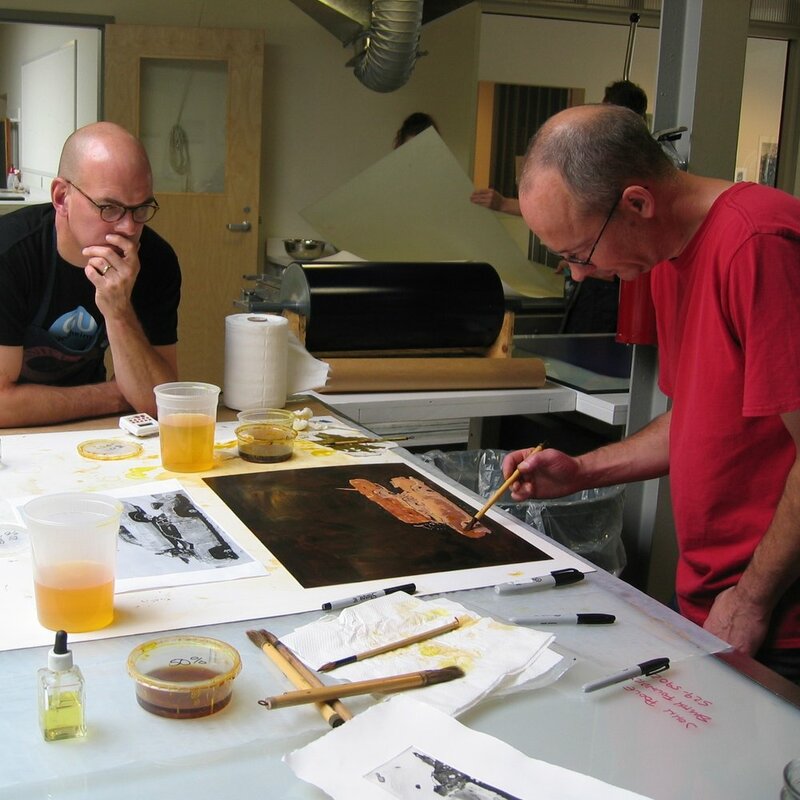 An accomplished printmaker in his own right, Rathman has made multiple editions with Highpoint since opening its doors in 2001. He was the recipient of a Bush Foundation Fellowship, two McKnight Foundation Fellowships, and the Minnesota Book Award. Rathman’s work has been placed in the collections of the Art Institute of Chicago, the J. Paul Getty Museum, the Minneapolis Institute of Arts, the New Museum of Contemporary Art, Stanford University and the Walker Art Center. Unique | Watercolor monoprint | 23" x 30"